Travel sites such as TravelPirates, Orbitz and Travelocity provide vacation package combinations (flights, hotels, and cars). Travelers will always search for the best deals on aggregate sites. Aggregates lack the functionality for users to input a travel budget. However, lodging site Airbnb provides this function, but it does not live on the landing page. Often, travelers know his/her budget before navigating to a website or search engine. The lack of entering price points aids in site time, but slows the conversion process. Inability to predicate search based on the individual user’s budget. Search results return by relevant search terms. Enter Travelean. 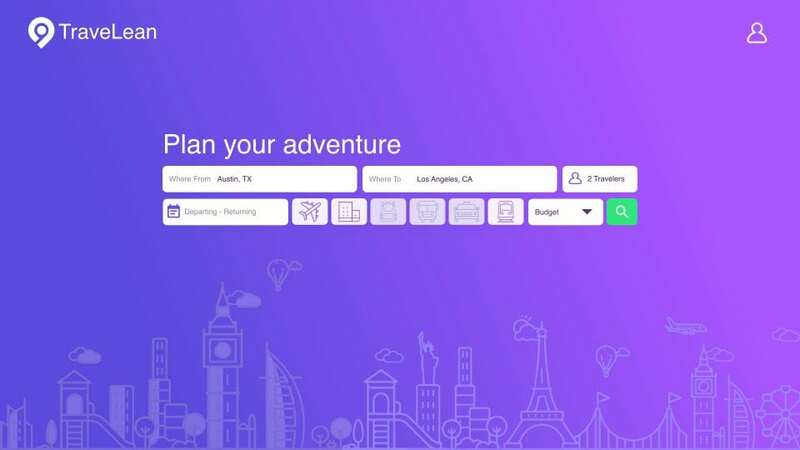 The travel site that allows users to input a budget like Airbnb, select a vacation package, and input destination and dates, the landing page. Sites sort results by relevance. Travelean will prioritize the budget and sort from lowest to highest price. To solve this issue, a mobile-first design is necessary for optimum usability. The landing page will contain typical travel site search fields, with a dual slider to set a budget. The goal of the Travelean interface is to provide a user experience input a price range, destination, dates, guests, and package attributes. Landing page UI built in Adobe Experience Designer. This personal challenge helped me focus more on evolving a product as opposed to only thinking of interactive design. I researched the most well-known travel sites to discover an opportunity for improvement. The addition to the landing page opens the site to users who are heavily concerned about cost.